The DentaPort Root ZX delivers absolutely precise measurements, independently of any flushing or rinsing fluids or blood which may be present in the root canal. 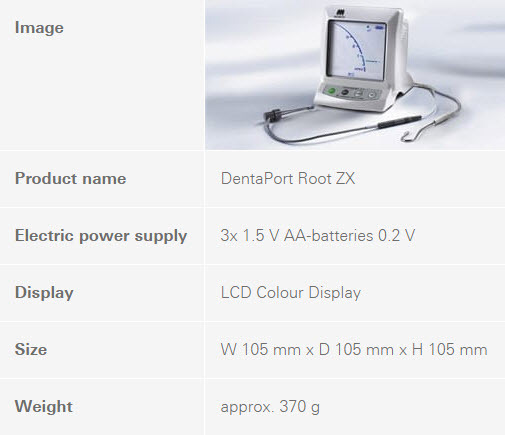 The DentaPort Root ZX excels with its clearly structured large LCD color display – with clear bargraph indicator and high image contrast. In this way, it is able to illustrate the exact position of the file in the root canal. When the file reaches – or is just short of reaching – the apex, a signal is emitted that makes it easier for the dentist to navigate in the root canal. For the highest possible precision – even with changing canal conditions. In combination with the DentaPort TriAuto OTR, you can upgrade the DentaPort Root ZX into an easy to use endodontic motor with measurement and polymerization function. If you already use a DentaPort Root ZX module, you can upgrade it with a preparation function. I have had a DentaPort Root ZX apex locator for a large number of years. Can I combine this with a preparation motor to get file position displayed during canal enlargement? Yes. You can connect your DentaPort Root ZX apex locator to a TriAuto OTR endodontic motor using a connecting cable. 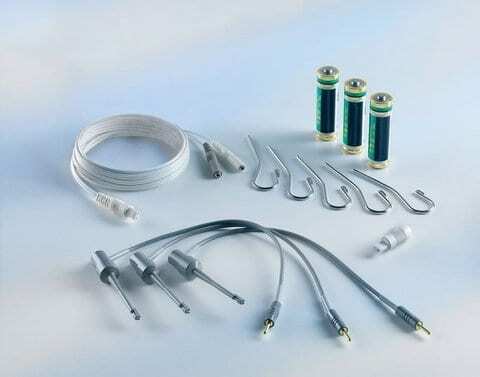 This provides you with an intelligent preparation system with the new OTR function. The X-ray exposure shows a different result to the electrical length measurement by DentaPort Root ZX. Which method is more precise? Hiding behind this perfectly formed design is a high-performance apex locator in the tradition of the worldwide leading endodontic product family from Morita. As with its multiple award-winning predecessor, the Root ZX mini also measures root canals reliably and with absolute precision. Root ZX mini is compact, lightweight and designed to fit the hand. It can be placed on a tray, the patient’s apron, or any other convenient place.